In this step-by-step manual I will show you how to open a Commerzbank account. Opening your Commerzbank account only takes seven minutes and is very easy, so let’s get started! 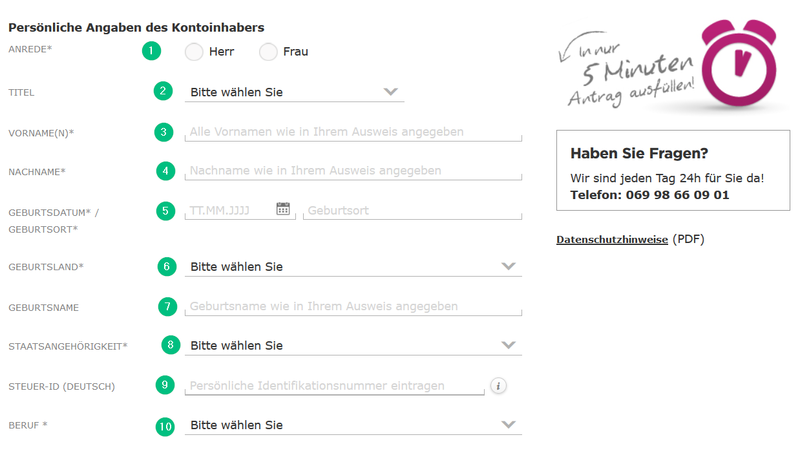 Steuer-ID: Enter your German tax number, if you have one. If you do not have one yet, leave blank. Welche regelmäßigen Bar-Ein- & Auszahlungen erwarten Sie auf dem Konto (inkl. 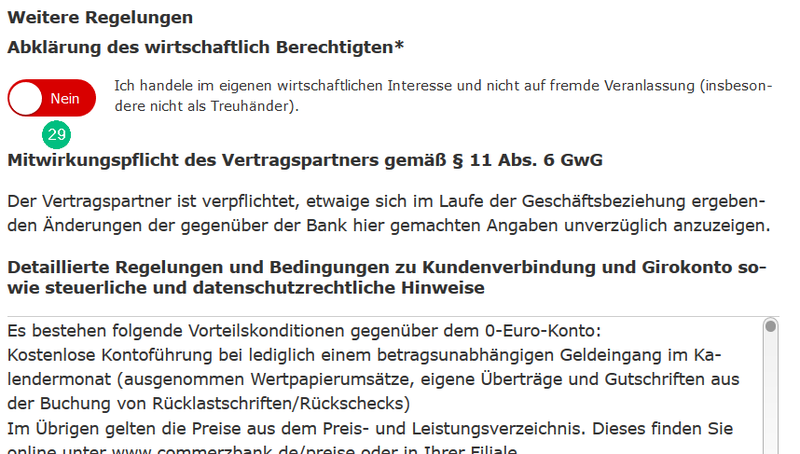 Schecks): How many cash transactions do you expect to have per month in EUR. This comprises for example cash withdrawals or checks. 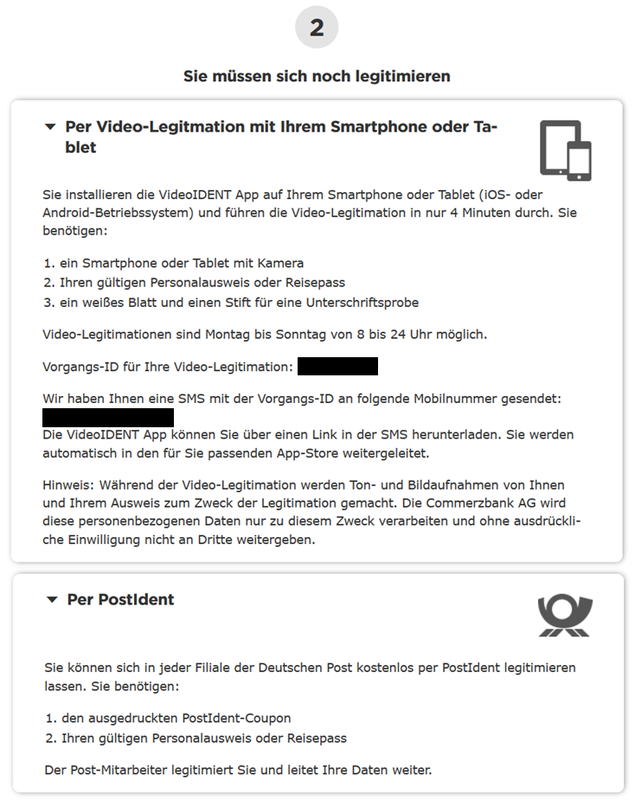 Ich tätige / erhalte regelmäßig Überweisungen ins / aus dem Ausland: Please specify here if you will have regular transactions from to abroad (e.g. money transfers to your family abroad). Please also specify the countries involved. 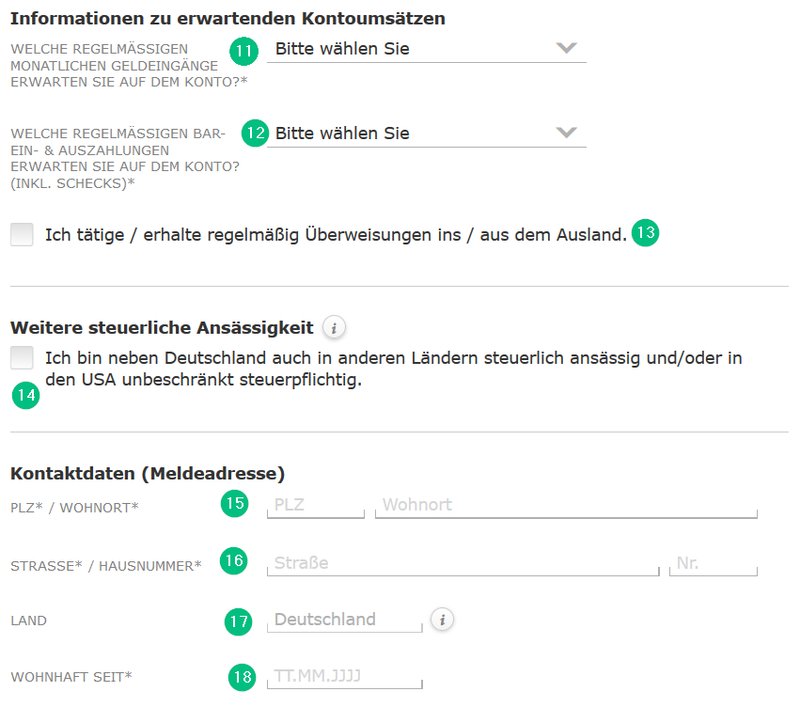 Weitere steuerliche Ansässigkeit: If you are a tax resident in Germany only leave blank. If you are also a tax resident in other countries please tick the box and select the country and your tax ID in that country. 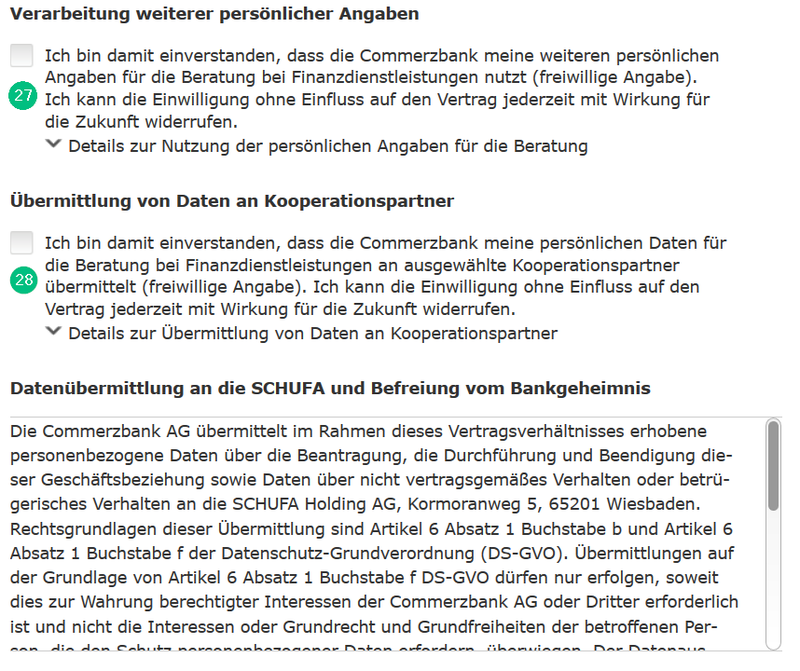 By selecting “Ja” (Yes) you agree to open your Commerzbank account for yourself and not for another person. If you choose no, you won’t be able to open the account. 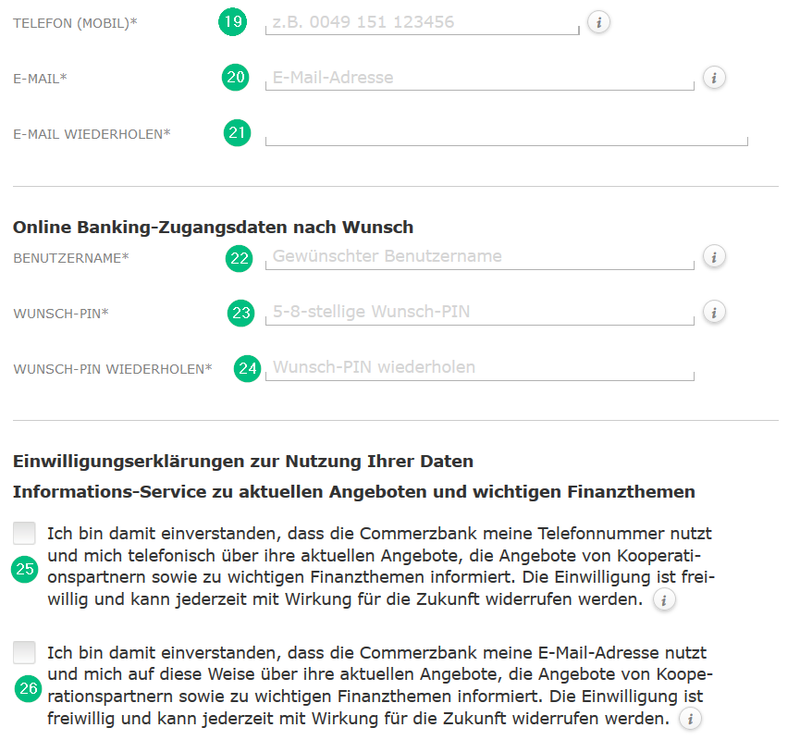 With PostIdent you print out your Commerzbank application form and go to the next post office (Deutsche Post). There you will hand in your documents and your passport/ID will be checked. 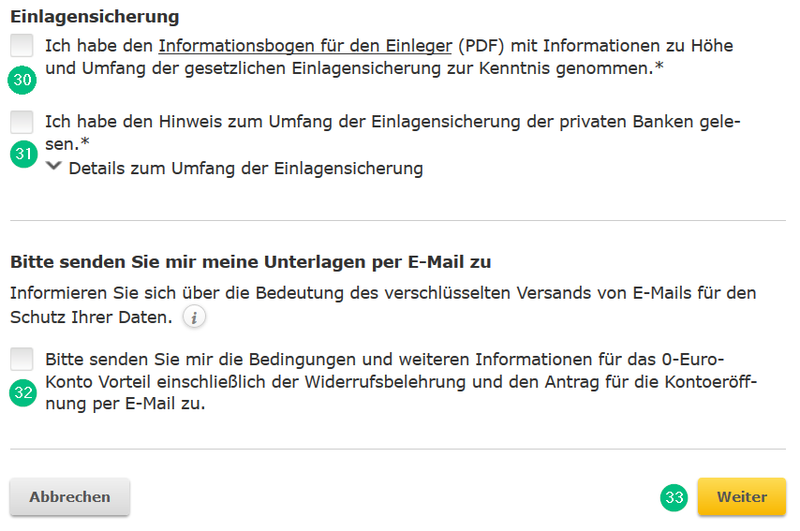 On the Deutsche Post website you can learn more about this procedure. That’s it! Open your Commerzbank account now!